Welcome to American Auto Club's Website! The C.A.A.C was formed in the autumn of 1962 by Harry C.G Shell and a small group of enthusiasts who felt that the better-class American Automobile did not enjoy a favourable position in the field of vehicle preservation in the United Kingdom. 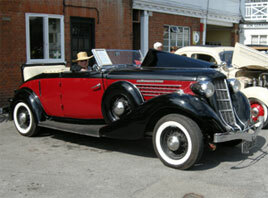 At the present time, the club has a remarkable range of historic vehicles, and is growing rapidly. All Kinds of American vehicles and owners are eligible to join us. The club's policy is to render every possible assistance to owners of both proud and humble vehicles, the title "Classics" having been chosen mainly for want of a better word. Many of our members belong to other clubs such as the A.A.E.C, V.C.C, V.S.C.C, V.H.C.C, Ford A and T registers etc. 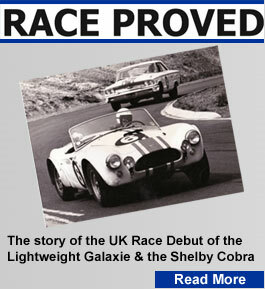 We publish a lively magazine containing much useful information about bygone makes, cars and parts for sale, forthcoming events and so on. 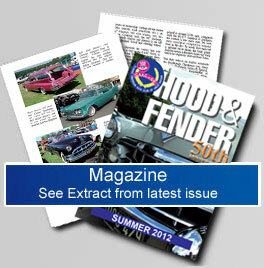 The annual subscription is only £25.00, and there is no entry fee as well as offering free information and vehicle dating to all our members. Handsome and well finished car badges are now in production. American cars have never been particularly plentiful in the U.K. by reason of import duties, tax, etc. and sometimes sheer bulk and tended to be despised by enthusiasts from notions of flamboyant styling and unsuitability for the more strenuous forms of competition. 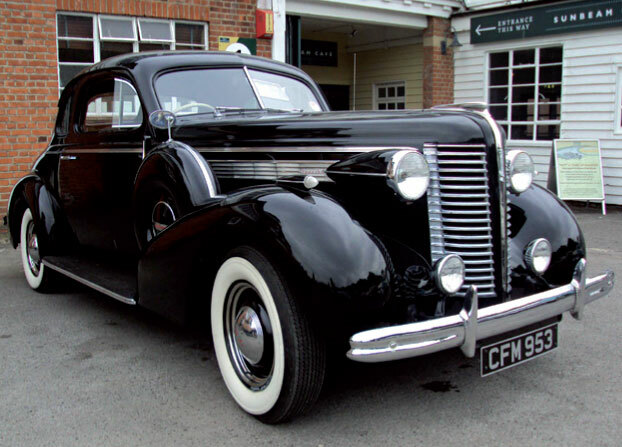 Nonetheless there is much that is worth preserving from the standpoints of rarity, and excellence (by any standards) of engineering and coach-work in such makes as Lincoln, Packard, Cadillac and Chrysler to name but a few, from the earliest days right up to the present time. So it is greatly to be hoped that those who care about these thing will stick together. The C.A.A.C. holds only the name and address of its members and does not print or publish or pass on any of the details that we hold to third party's unless permission is first sort from the member . All new members are sure of a very warm welcome!